Marinate all the ingredients above for at least 30 minutes. Heat oil in a pan, fry all the whole garam masala and 2 onions until onions are soft, then add ginger garlic paste, coriander powder, red chilli powder, cumin powder and fry in the oil. Now add chopped tomato and cook until tomatoes turn mushy. The oil will separate and masala will be cooked well. Now to the above masala add the marinated chicken and incorporate well with the masala, then add water and salt, let the chicken cook and gravy thickens. Now add balance 3 onions that have been sliced and let it soften. Finally add coriander leaves, now our Onion Masala Chicken is ready to be served. Mouthwatering chicken ....too good dear..
Chicken looks truelly fabulous. Mouthwatering here.. 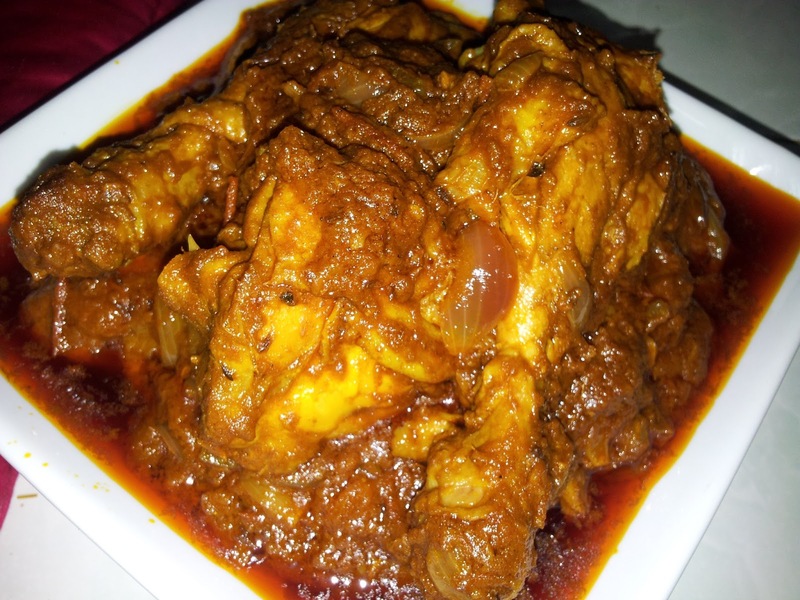 Tempting and flavorful chicken..looks so delicious. 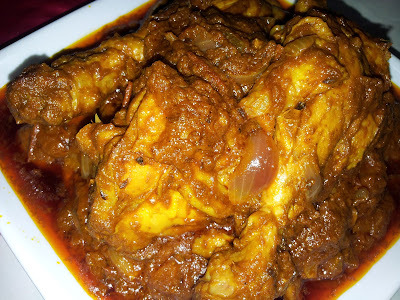 MOuthwatering masala,cant resist..Give me that bowl..Love to have with some rotis. Nice .. u must have enjoyed it ..
your new template taking more time to load dear.. BTW nice chicken preparation da.. The gravy looks so rich & delicious,yummy!! such a lovely thick gravy to go with rice or roti.